It had been quite some time since we had had some time away from the children. I couldn't think of a more perfect way than to spend a Sunday afternoon being spoilt and waited on for High Tea hosted by InterContinental Adelaide. 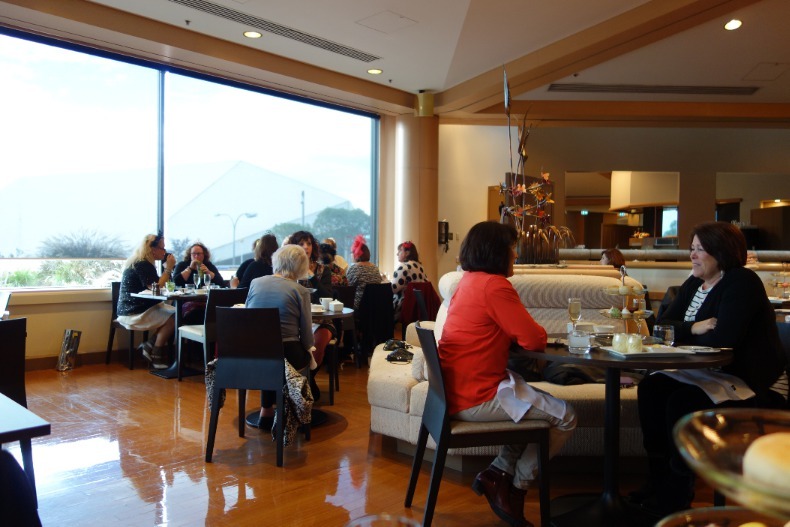 Now I had not been to a high tea before therefore I didn't have any preconceptions of the event. I must say after the experience, I did thoroughly enjoy the afternoon. Although I had not experienced such a delicacy my dining partner had been to quite a few in the Adelaide. She herself enjoyed the afternoon immensely and believes it was definitely up there in the high tea stakes throughout the City. We arrived to a very busy Riverside Restaurant, in the distance we could see and hear the pianist playing his music in the back ground. Our maître d' was friendly upon greeting us on arrival and ushered us to our table. Hayley, our food and beverage supervisor, offered a selection of drinks for us to commence the afternoon. Being without children we jumped at the chance for a glass of sparking champagne. Surrounding us were tables with bottles of Bollinger. Although Bollinger sounded great, we ended up settling for the house champagne. 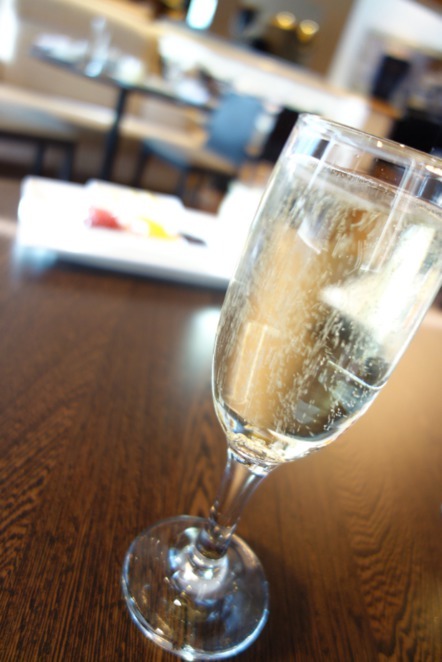 What a deliciously crisp sparkling it was, we sipped it slowly whist chatting away enjoying the ambience. Our food came out on a tiered tower with each layer being different to one another. The first layer was that of sandwiches, we had three different types. One of the sandwiches was rolled mountain bread with Tasmanian Smoked Salmon, watercress and horseradish. The delicate balance of heat from the horseradish and coolness from the watercress made it a hit with me. Definitely something I will be trying to recreate at home. Next was prosciutto with hot Bavarian mustard and cognitions in sour dough. I found the prosciutto a little thicker than my usual liking however all up I still enjoyed this roll with the hot mustard making up for the prosciuttos downfall. Last on this tier was a simple and classic cucumber sandwich. This classic was dressed up with a splash of chervil and sour cream making it a very pleasant slightly sweater finale to our savouries. Our next layer was that of tiny little cakes, tarts and slices. Oh yes we were excited to be at our sweat selection. When we arrived at this layer we were ready for our pot of tea. We ordered a pot of earl grey tea which came as loose leafed tea in the classic china pot with teacup and saucer, a perfect accompaniment to our cakes. The favourite on this layer was the Lemon Meringue tarts. The base was a good crumble (but not too crumbly) and flavour with the lemon curd having just enough bite and lemon without being too overpowering. The meringue was sweet and crispy on the outside and soft in the centre. The overall sweet of the merginue, tart of the the lemon and crunch of the base all provided the perfect balance in which a Lemon Meringue should have. A big winner for me. Next was the carrot cake, with nice thick carrot pieces throughout. The icing was the traditional cream cheese, the whole cake was nice and firm with great texture. A very delicious carrot cake. The apricot slice, I have to admit, I was not really a fan of this particular slice. I felt the crumble just didn't work nor did the flavour. Only a small disappointment in what was an extremely successful tasting so far. We also had a chocolate brownie on this level which was not as dense as I like them. However the flavour was still nice and chocolatey. 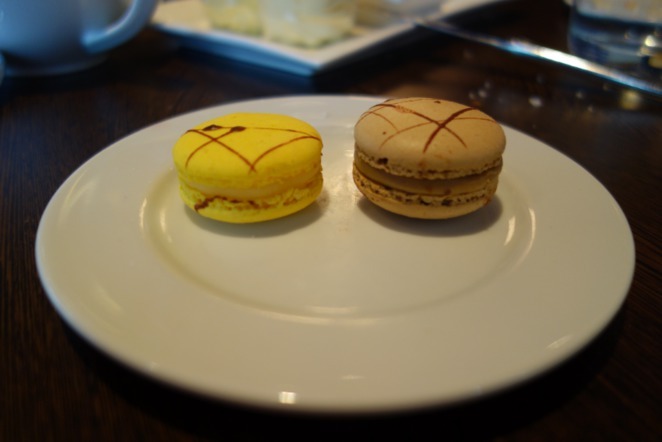 The last remaining selection of sweets was the two macaroons, one lemon and one coffee. Being a macaroon lover, I purposely left these until last. I had high expectations with these. We decided to share both as we didn't want to miss out on tasting either. Well I was definitely not disappointed with these. The flavours were very distinct as was the strength, a great amount of lemon and coffee tasting. Perfect crunch and softness in the centre. Overall were exceptionally happy with this level. The top layer of our tier was the traditional scones. What is a high tea without scones? In my eyes definitely not a high tea then. By this layer we are starting to fill up. Yet we could not leave these gorgeous delights. The three scones were blueberry, plain and sultanas. Great quality scones with just the right amount of fluffiness as scones should be. The flavours were a delight, the jam homemade and fresh cream to top them off. A fantastic finale to an already magnificent high tea. I was told that this high tea had more food the most in town however this didn't jeopardise either the quality or freshness of the food. All up it was a very positive experience in which we both highly recommend. The food, the atmosphere and the company was thoroughly enjoyed. Our afternoon without the little ones will certainly be remembered. Co Written with the assistance of Nathan from The Chopping Board. 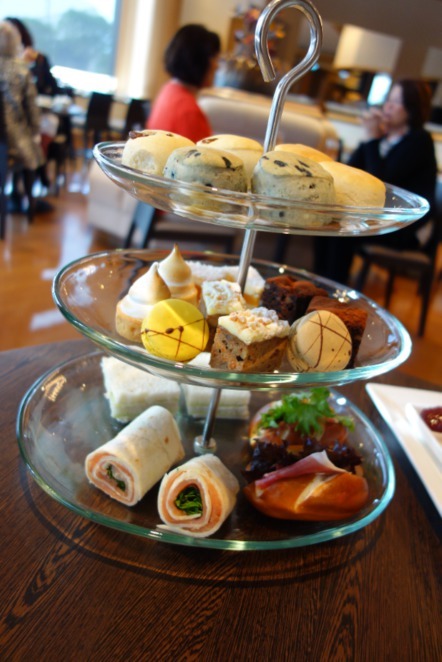 The High Tea Menu can be found here with prices begining at $35 for The High Tea and ranging up should you want to include lunch in the package. The scones look delightful. Never had them with blueberries before. The prices are exceptionally good value. Yummo - scrumptious! Lovely photos that seem to do justice... Thanks for sharing.